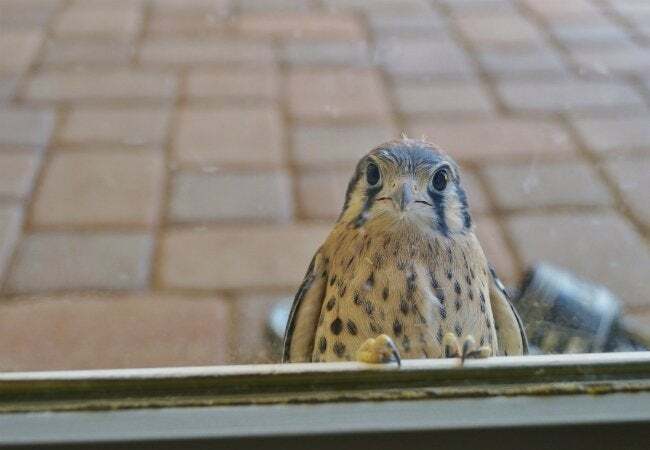 Feathered friends make for great window watching, but when they come too close, things can get chaotic. 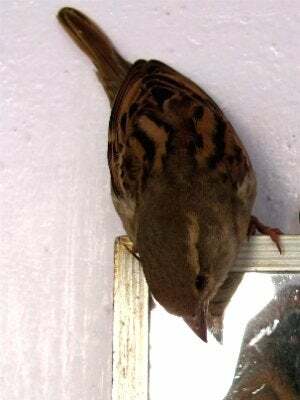 If a bird swoops in through an open window and gets stuck in your home, try this trick to shoo it back outdoors using a common household item. Cracking the windows is an effective way to air out your house in the summer—but an open window can also be an open invitation to any number of unwanted visitors. Occasionally, a bird may fly in through this entrance and trap itself indoors, fluttering about looking for an exit. If one makes its way into your house this season, keep calm and just head to the linen closet for the only thing you need for assistance: a flat sheet. Start by opening one window as wide as possible to give the bird a way out. Then, close all blinds and drapes over the rest of the windows, and switch off all lights inside the house so that the open window shines brightly like an exit sign. Your feathered intruder will associate the light with the open air and will, we hope, fly toward it. If the bird still hasn’t made any moves after some time, get ready to guide it. Take your large bedsheet in both hands, and hold it up at eye level or higher, arms extended so that it makes a large, flat surface. Check that the bird is between you and the exit, then slowly walk toward the bird. By creating a “wall” closing in on it, you can better direct the bird out through the window. Once it leaves, close the window, send your sheet through the wash, and call it a day. Additional notes: If you’re still stuck with a bird in the house even after following these suggestions, then it is time to call in the professionals. Look up wildlife groups or bird sanctuaries in your local area to see whether they will come and deal with your feathery nuisance. Wildlife experts know how to handle a bird without causing injury, and they have equipment to help the process along.